Bags, accessories, and dog paws hit the runway at Boston’s 2018 Fashion Week. 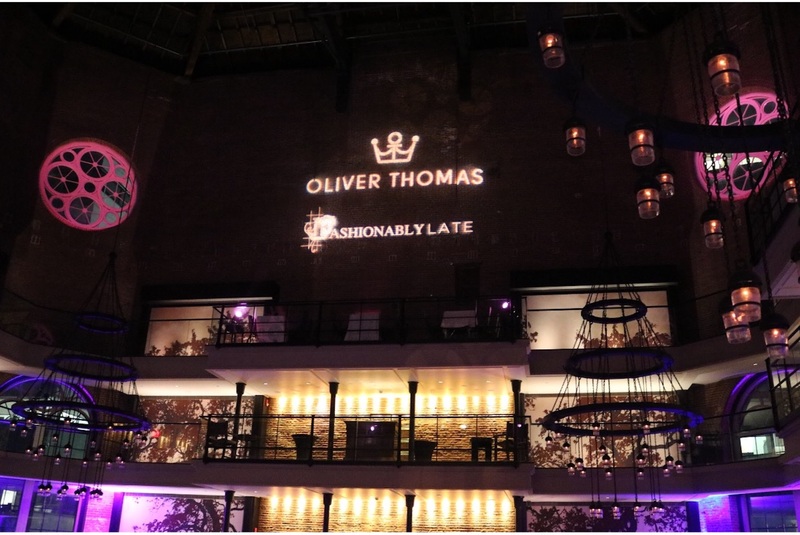 The Liberty Hotel on Charles Street hosted the Oliver Thomas Fashionably Late show Thursday night. Fuller started the brand with the goal of making her own life more simple. Prior to starting her fashion line, Fuller was preparing for the handbag industry by working in marketing, design, and management. She worked for companies such as L.L. Bean, Ralph Lauren and Vera Bradley. In pursuing her career, raising her children and working out, she decided she needed a better way to carry all of her belongings in a light-weight bag. Fashionably Late’s event showcased Fuller’s newest handbag collection. Many of the bags included a secret stash pocket and RFID blocking technology to protect credit cards or other electronic devices. Her designs allow customers to have stylish handbags with extra security for their phones and credit cards. “The bags are customizable with badges to truly make it your own,” Fuller explained. “I wanted this collection to be really fun and I also wanted it to connect people and that was very important to me.” The customizable badges allow customers to design bags to reflect their personalities. Badges are based off positivity words. Models struck poses on each of the three different floors throughout the hotel with Thomas’ nylon handbags. They wore Boston-based designers and vegan clothing. Fuller emphasized veganism because the Oliver Thomas line is animal free. 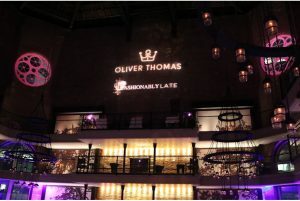 The fashion show ended with the real Oliver Thomas’s debut on the runway. The small Shih Tzu pup offered a sneak peek of Fuller’s new dog coat collection, coming to Boston soon.